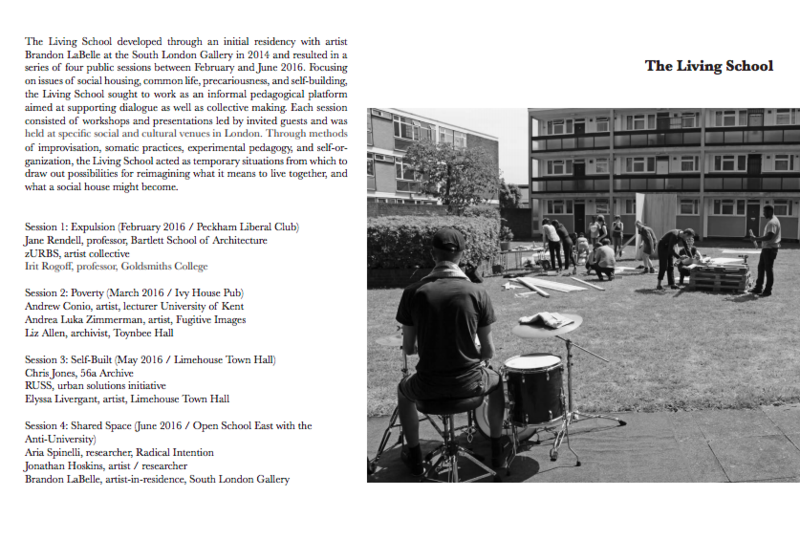 My Essay for the Living School, by Brandon LaBelle (2018) was prompted by a presentation at the Southlondon Gallery on December 6th, 2016, where I gave a talk about the Estate project (2009-2015). The Estate project was a long term project from within the place I lived for 18 years, and which was demolished in 2014. 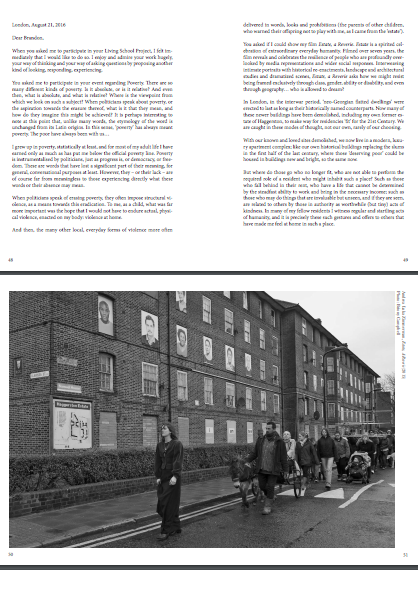 This essay letter, On Poverty, describes the meaning of the term and its unmeaning at the same time: the way it is appropriated to erase experiences whilst at the same time promote neo-liberal policies. what a social house might become.